G.P. Putnam's Sons, 9780399166723, 368pp. 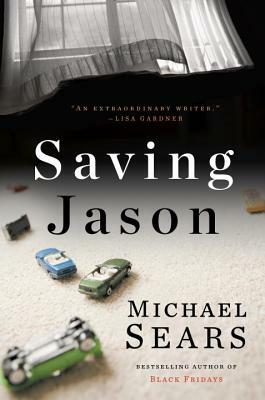 Michael Sears was sixty-one when his first novel, Black Fridays, was published. After nine years as a professional actor, he got an MBA from Columbia University and spent more than twenty years on Wall Street, rising to become the managing director in the bond trade and underwriting divisions of Paine Webber and, later, Jefferies & Co., before heeding his father’s advice: “When it stops being fun, get out.” He did so in 2005, and returned to what had always given him the greatest joy—writing—studying at NYU and the New School. The temptations that drag down some of his characters are well known to him, as are the insider-trading perils that form the core of the new novel. The autism is known to him, too, from his extended family, and he has seen the struggles and the rewards. Sears holds an undergraduate degree from the University of Maryland, and he lives in Sea Cliff, New York, with his wife, artist Barbara Segal. They have two sons.